You don't have to be a chemistry major to want to spend time in the new Sanford S. Atwood Chemistry Center addition. 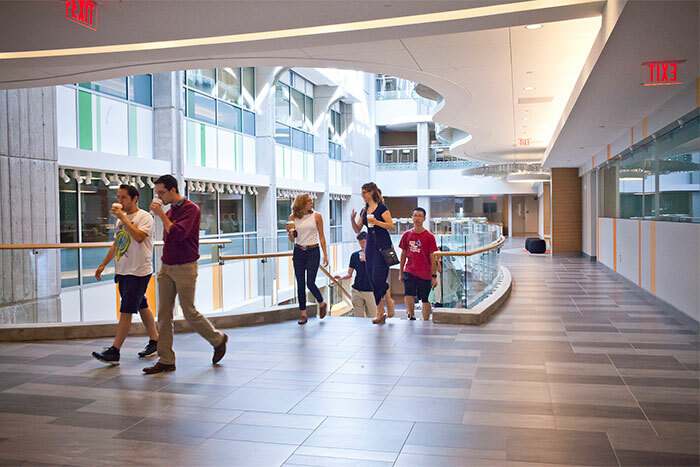 The building's glass-fronted, light-filled atrium and the park-like green space that connects it to Cherry L. Emerson Hall are designed to draw people in from across all disciplines. Welcome to the future of chemistry, where diverse people and their ideas are colliding and combining with molecular frequencies. 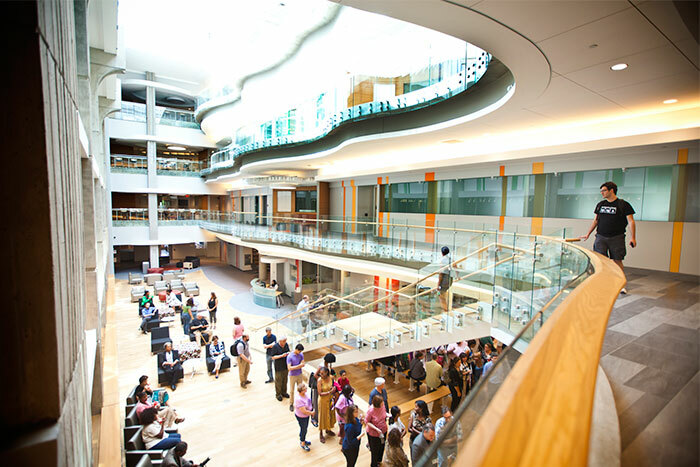 "This new chemistry center was designed to serve as the hub of Emory's growing Science Commons," says David Lynn, chair of chemistry. 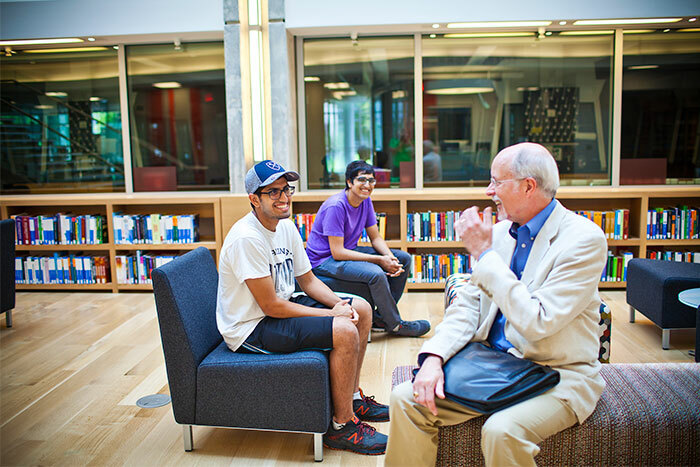 "New science is emerging at the interface between disciplines as well as within them, and as a liberal arts institution we want to forge those connections throughout our campus community. We've created the space as a catalyst. After nearly two years of construction, the dust has cleared and the barricades have come down to reveal the dazzling results of the $52 million expansion and renovation project. About 70,000 square feet of new space has been added to the existing 200,000 square-foot chemistry complex of Atwood and Emerson. The imposing concrete wall of Atwood that formerly faced onto Dickey Drive is now transformed into a much more inviting glass façade. Visitors entering from Dickey Drive will be greeted by the enticing aromas of the Highland Bakery "Coffee Lab" near the entranceway. 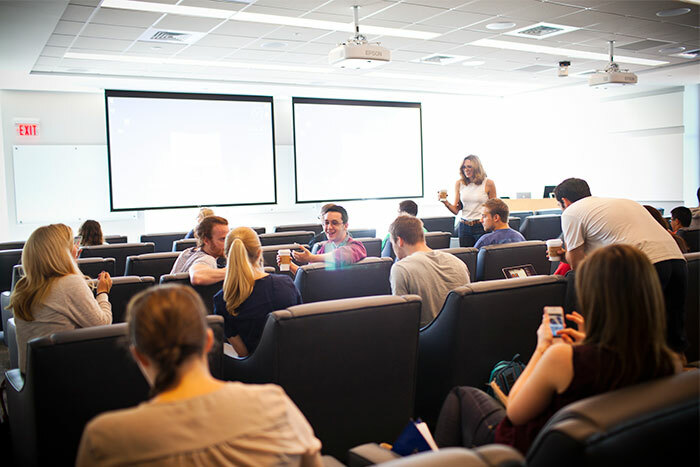 The lecture hall that once fronted the building is now an interactive teaching space. Students will sit at round tables, surrounded by large video screens connected to computers. Each tableful of students will tackle problems as a group, mentoring and teaching one another. 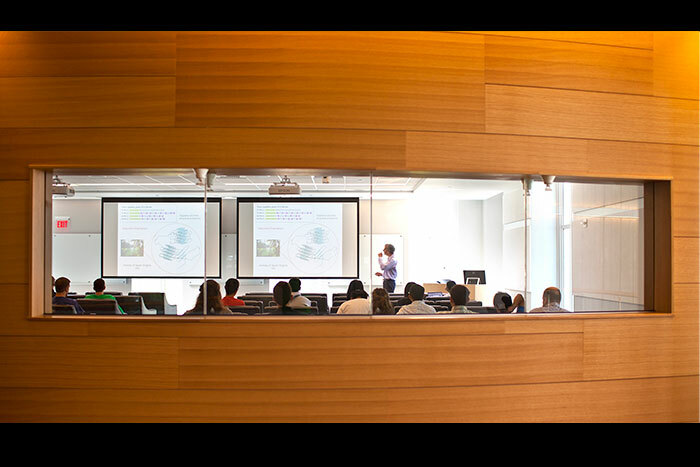 The solutions from each group can be projected onto the surrounding screens, so that the class as a whole can benefit from the different approaches and find new solutions. "First-year students will immediately become part of the chemistry community, participating and engaging," Lynn says. "Classrooms and laboratories are much more integrated as well. We want new students coming in to bring all their different experiences and perspectives to help solve problems. We are leading the way, setting the standards, for new and better ways to educate science students for the future." 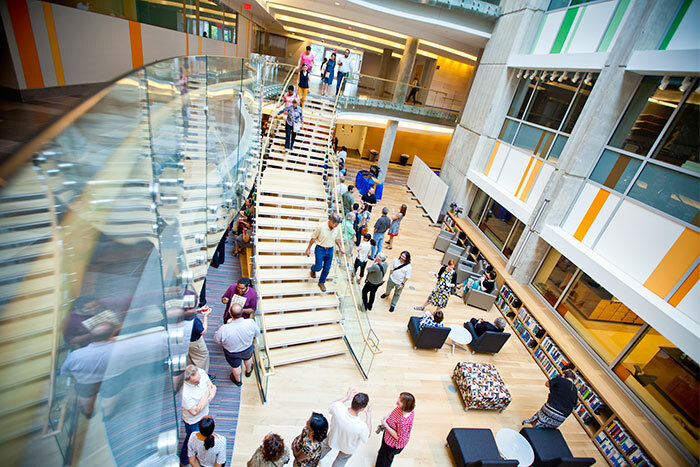 The ground floor of the atrium houses a wall-less library and interactive learning space, dotted with breakout nooks that have chairs and white boards to encourage discussion and collaboration. 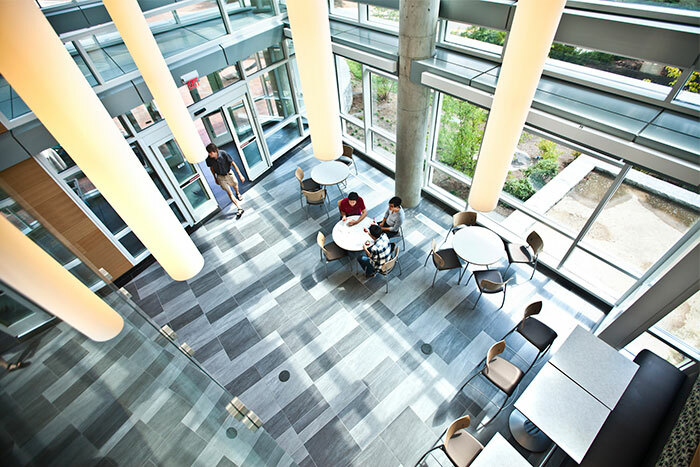 From the atrium, one can look out onto the green space adjoining the building and up into four floors of glass-walled research labs, classrooms and workspaces. 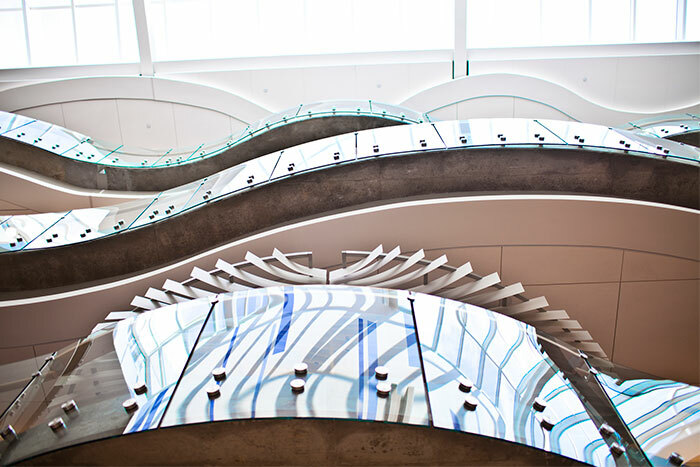 Fluidity is another design feature of the complex, from the sweeping staircase in the center of the atrium and curving glass-walled walkways to the swirling, abstract paintings by Emory alumnus Brendan O'Connell, an internationally known artist. "These fluid elements reflect the dynamic nature of molecular systems and their ability to evolve," Lynn says. 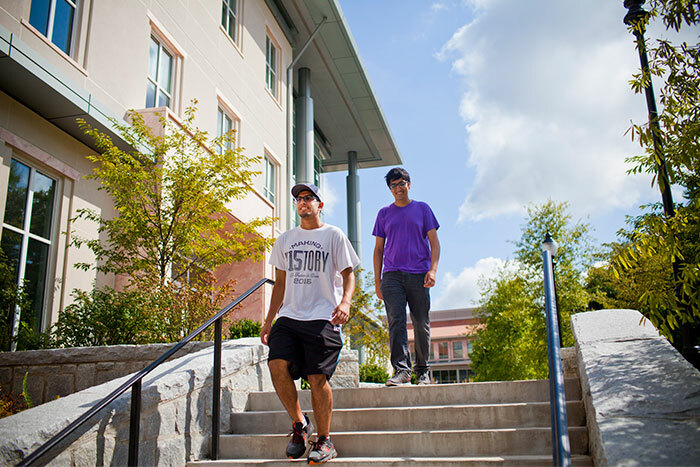 "And, on top of that, the ability of our campus community to keep evolving from individual labs, departments and disciplines into ones that are more closely connected with one another." 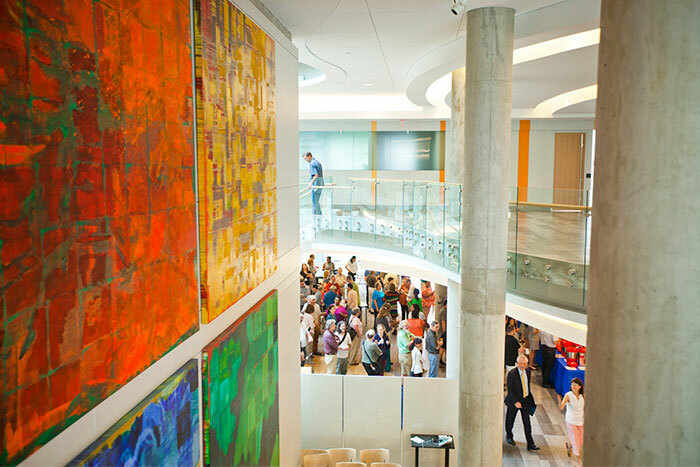 The new building comes as Emory is re-envisioning its undergraduate chemistry curriculum, supported by a $1.2 million grant from the Howard Hughes Medical Institute. 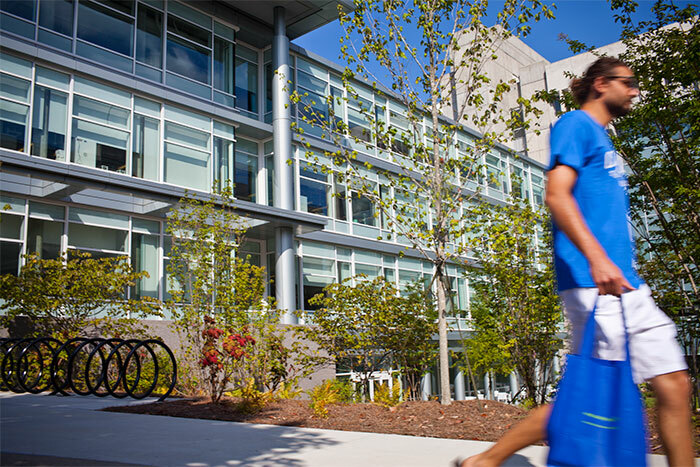 Like the new building, the new curriculum will focus on openness and direct engagement with research. 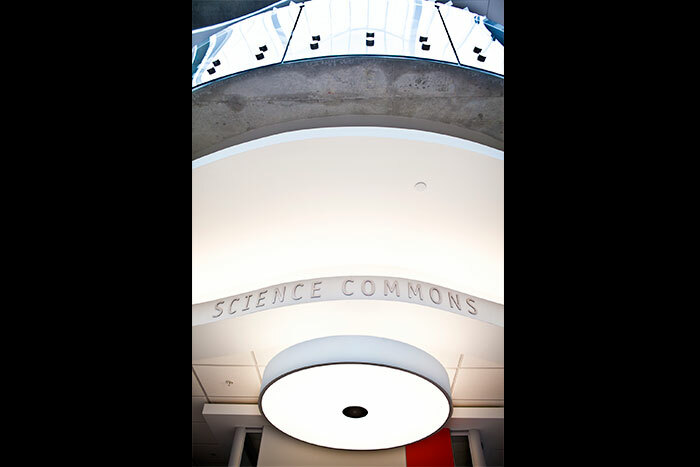 The chemistry department is finalizing details for a grand opening for the Science Commons during Homecoming Weekend, Sept. 25-26. Watch for more details about that event and more information about how the facility is poised to lead the way into a new era of university research and education.